Cosmetic surgery and plastic surgery can help in improving your physical appearance, Tummy Tuck surgery can help in extracting excess fat from the body. Hair Transplant treatment aims at helping the patient in growing back hair on his head, a laser hair removal helps patients in removing excess hair from different parts of the body. All these surgeries help a person in becoming more confident. 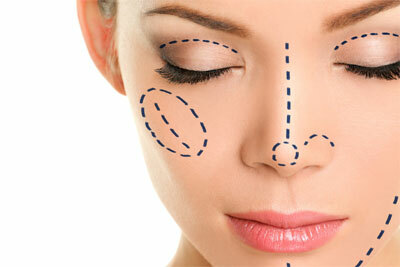 Most cosmetic surgeries and plastic surgeries leave their patients with some health benefits. A nose job reduces the potential of a sinus problem; a breast reduction surgery can reduce the chances of the patient suffering from excruciating back pains. Cosmetic surgery and Plastic surgery take the patient through a considerable amount of pain. The wounds and scars caused during this procedure can take a time frame of 7-9 months to heal completely. Side effects that occur during this surgery are plenty and can sometimes cause irreversible damage to the treated areas. These surgeries are usually expensive. The amount of time taken to get the surgery done can cause financial losses as well. These surgeries may not be covered under medical insurance and can leave you with side effects which may cost money to treat.